← What is LoRa ? After spending some time reading and writing about LoRa it was a good time to make some real test of this technology. The RN2483 module have a lot of pins but most of them are GPIOs and power supply. To make my board simple, I decide to not connect all the GND and it sounds to work as expected, so at the end my schema looked like this. For communicating with the module, the default serial port setting is 57600 bps. Once set on your terminal, you can communicate with the module. The list of available command can be retrieved here. The command sys get ver returns the firmware version, it is a good way to ensure the circuit works. Then to get a communication between the two device, based on a point to point LoRa link, you must start pausing the mac level. The mac level is managing the LoRaWAN protocol we do not want to use at that point. So you have to run on each of the board: It returns a long pause duration when you do not specify your expected duration. Now we are ready for communicating, we can check the default configuration : this document from Semtech is a great help to understand these parameters. The spread factor parameters defines the sensitivity of the reception, with a such value (sf12 is the more sensitive) the SNR can be up to -20dB. This also impacts the duration of the transmission that becomes longer. The used bandwidth determine time on air and sensitivity. With 125KHz the sensitivity is better but time on air is longer. Chip is capable from 125KHz to 500KHz. The time on air is doubled from 125KHz to 250KHz. The CR (Coding rate) parameter determines an error correction mechanism by adding some information to the message. 4/5 is the best correction mechanism especially when the signal is low. The prlen gives the preamble length in symbol. Any change to the radio level can’t be saved, so you have to reconfigure it on every reboot. Now we can send a message over the air. The first thing to do is to configure one of the device for reception : the parameter 0 indicates that reception is blocking until getting a message. else echo "error setting power"
else echo "error setting mac in pause"
else echo "cant establish communication"
Now, on receiver, we simply want to wait for a message, check if the message is the expected one, then blink a led a couple of time to indicate a message has been received. This is based on Arduino. Pin2 is connected to RN2483 reset PIN and Pin3 is connected to a LED for showing result : blinking 10 times when the message is received. The command radio set wdt 105000 set a reception timeout to 105s to ensure being in the expected transmission windows. With this solution done, I did some tests driving in my city. The result is not a really good benchmark for many reason, the first one is that the emitter was on my roof but not on top of it, so part of my roof was hiding the western part of the city what can can easily see on the graph below. The blue point from where the arrow are starting is the emitter position. The emitter was in the city downtown and the 1,3Km is really going on a city environment with a lot of building. The longest distance have about 2km of city and 2km of country side. The part on the top left of the map is a mountain that is limiting the coverage in this area. On the map, the red part are location where I did a test and get nothing. The blue one the location where I did the test and it was working well, the uncolored parts are where I did no tests. By the way, I’m very impressed by these results as my emitter is really not optimized for transmission : standard internal antenna, connected as you can see on the photo… The transmitter was limited to 14dB on the 15dB available to keep an acceptable power consumption. Next step will be to put an emitter on top of our mountains to make a better test ! 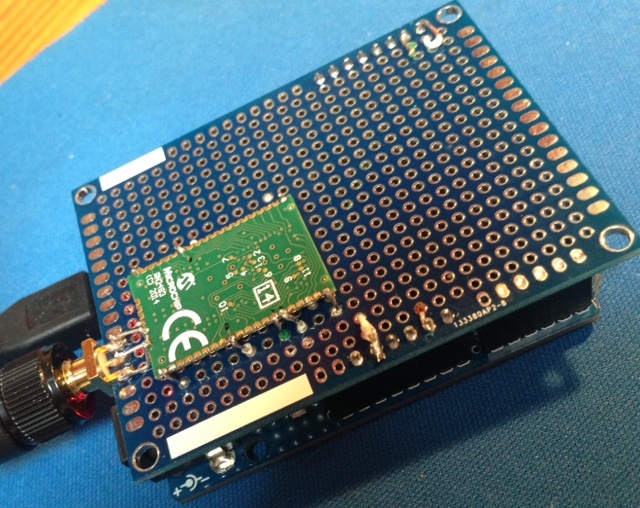 This entry was posted in IoT, Networks and tagged arduino, LoRa, microchip. Bookmark the permalink. Very interesting “first step”! But I think when you write “The blue one the location where I did the test and it was not working” you actually mean “and it *was* working” – correct? 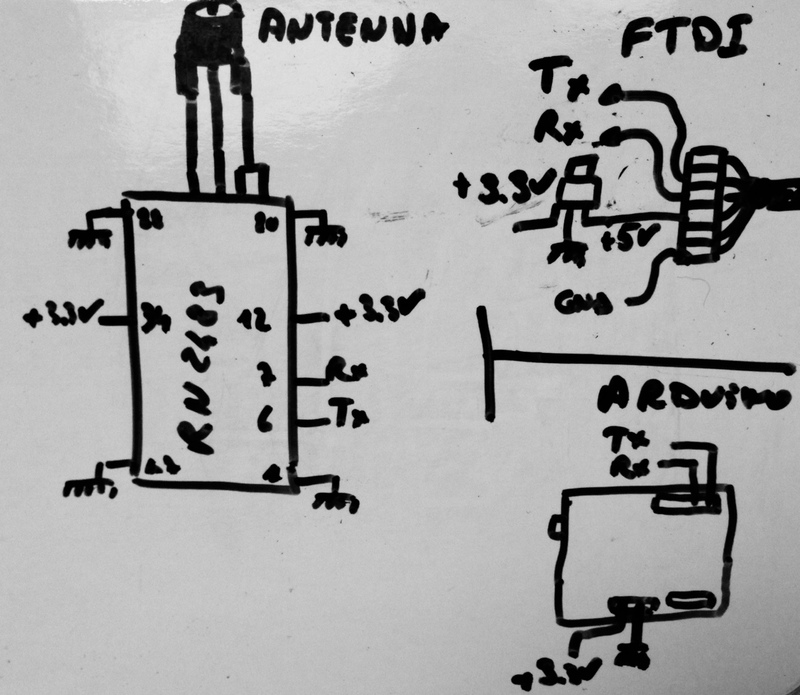 Could you detailed how you connected the antenna to the board to match the 50Ohm ? Did you simply connected the antenna+ground pins to a SMA connector ? Could you please upload a better diagram? It’s hard to read the one you posted, especially the pin numbers. First of all, this is an interesting post, thank you for that! Please correct me if I’m wrong. Currently, I’m searching for the “best” operating parameters and any help / hint is welcome! Hi!, thanks a lot for the information! I think you’ve made a mistake on the coding rate selection (or explanation). The stronger code should be 4/8 which is more redundante. It reduces the effective bit rate and it increases the time on air but you get better link margin. Hi, Thanks a lot for sharing! Could you plese share which terminal program you are using (Putty)? I can connect to the module and send “sys get ver”, but no feedback. Also, for the FTDI, are you using USB-to-TTL or USB-to-Serial (RS-232/UART)? I’m using putty and some other terminal tool equivalent. Did you check if hardware flow control has been disable, it is better if it is disable. Your post is very helpful to me,but i have one question . How can i make the “radio rx 0” free after once it was used. when i am using “radio rx 0” in infinite loop few times only i am getting data ,mostly i am getting “busy” sate so if you know any alternate way to make “radio rx 0” command is free after once it was used. It is a nice detailed post. Got an idea of the range capability and interfacing complexity of the modules, Now can think of using this in my next projects. Was suspecting whether these modules really give such long range as advertised. Your post cleared my doubts. Also i see that you disabled the WAN/MAC part, does it mean that anything that we send from the modules it will be received by any modules listening in the area like a broadcast? The LoRaWan stack require to have a LoRa baseStation. For my first test, I only had devices so I bypassed the WAN stack. In point to point connectivity any device can hear any other device like a broadcast. Your post is helping me so much…..
but i have one question ? I’m Riccardo from Italy, I have a question, RN2483 works at 3,3 V, and it’s ok that you put a ams1117 for the regulation of 5v from FTDI cable, but RX pin of RN2483 can have 5v input from TX pin of FTDI cable without a voltage divider? No I did not do any voltage adaptation for RX and TX. Worked well to me as in many cases. Thank you, for this step, I’ve make some test and create a DIY breakout board for RN2843. Work very well, now we have to do some test to verify coverage area.. You can find here our experience.. I bought two Lora Mote RN2483. Following these istructions it was very easy do a communication between the devices. But i have a little problem, there is a way for creating a continuous communication between the 2 modules, without that every time the receiver ask for a sending? Great article, sure helps with first steps. Still wonder why the 433MHz antenna is not used. Is it because of the firmware version that does not use it or ??? not sure performance is as good as 868 and both are possible in Europe. 433 is the only solution for APAC. Any other idea ? Thnx for your comment paul. I thought that the module automatic switches between 433 and 868. Is the 868 the only freq being used in your app? I think you have been lucky and that you actually should also make sure the power of the RX an TX datalines equals the power supply of the RN2483. I followed your instructions and fried a RN2483: the TX line is not working anymore. So to everybody who wants to repeat these steps: without properly adjusting the voltage on RX and TX with (for example) a voltage divider, you may destroy your RN2483! Sounds like I’m a lucky guy ! For sure you should always match the expected Voltage ! thanks fo sharing this article, I’m also testing these modules but I did not wanted to have a serial connection for my testing and wanted to be able to talk with them other Wifi and web interface. I was wondering if you had had trouble with the RN2483 sometimes not responding after Arduino sketch upload, and needing a reset to work again. It happens to me sometimes, is that the reason why you added a connection to the reset pin in your full setup and code ? For sure RN2483 serial communication is a mess … I experienced a lot of problem and a lot of de synchronization. For this reason in some code I had to manage command re-execution to ensure the cmd is well executed (sometime you get K instead of OK…) Another way is make it more stable is to reduce the bitrate (56Kbps does not have any interest in many case) this can be done following the procedure documented in the manual after a hard reboot. To get higher coverage, use a 180bits/s transmission 125KHz_SF12, or tune your antenna. 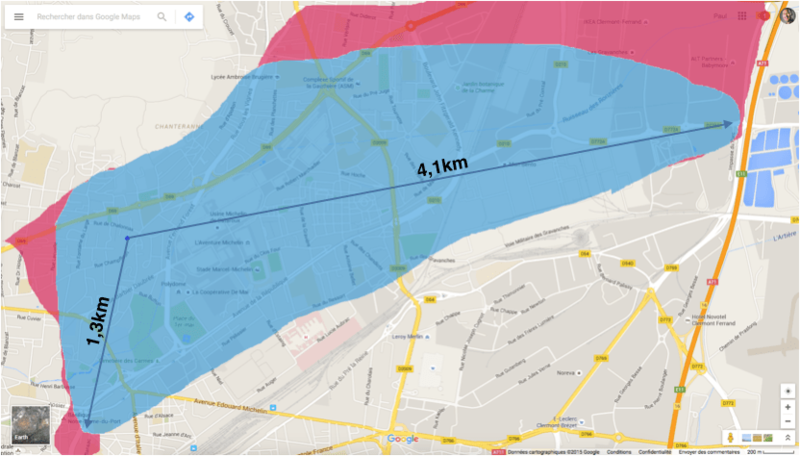 Basically you should reach more than this distance with an antenna correctly installed. Nice post. Do you mind if I translate it to Korean language and post it in my blog? Not a problem if your are indicating, linking the source and introduce your post to present it as a translation. Like many others have said, great post. Definitely helped me a lot. However, i face an issue with range. I have now tested a few different RN2483 modules with different SMA connectors and even swapping different antennae. But i dont get more than a few hundred metres range. Any thoughts on what i might be doing wrong? Any help is much appreciated. The only change i have done to the default module setting is increasing the radio power to 15 and disabling the wdt by setting it to 0, which i think is inline with what you have done. Are you sure you have enough power provided to your module ? I see no reason for this. Hi Paul, I recently started a new project and need to communicate two arduinos and your post really helped me to get started. At this time I am sending data between them but the problem is that the arduino that works as receiver gets blocked after a while, ¿Do you know what can be happening?. Same happens to me. Did you find why does it happen? Lora normally designed for star network include gateways, modems. In all documents about Lora, the technology does not used for p2p communication. However, I want to use Lora for p2p communication for two devices such as Rx device and Tx device. Is it right? or is it illegal for Lora definition? Not sure to understand correctly your question. As you write it on a post about LoRa and not about LoRaWan I assume a part of the answer is here. Basically LoRaWAN is a network and the communication is Sensor to Network only, not sensor to sensor. LoRa is a Radio protocol so basically you can do both. Hi, very nice post you made. I try to increase the range. I set all parameters to optimal values. I use RN2483 (868MHz), Power 15dBm, SF12, Lora BW (125), RX BW(2.6), BR (50000), Error Coding (4/8), I use LoRa Evaluation kit. But, the maximum range is 1km if I put RN Module and Gateway in front each other in a direct road without any obstacle. Can you help me to increase this range? Looks strange, with standard configuration, device to device in LoRa mode I was able to reach 4km, no tuning. I assume you have a lot of noise on your receiver location or you antenna can be really poor. i used the same config. I got around 400-500m coverage. Can you please specify which antenna I should use for maximum coverage? It would be great if y0u could give the exact part number. Thanks! The antenna in one thing, the location of the antenna is another thing and the choice of an antenna also depends on the location and the zone to be covered. As a conclusion, people are writing books on antenna choice and basically it is not possible to give you a good answer with the little information you provided. Hi Paul, a very helpful post you made. I tried the same with arduino mega ,that is perfectly working with all standard parameters. But how can I use RN2483 in full duplex mode or continuous communication between modules? I don’t know, by the way, if you find the way, take a look to regulation and my post here : https://www.disk91.com/2017/technology/internet-of-things-technology/all-what-you-need-to-know-about-regulation-on-rf-868mhz-for-lpwan/. basically I assume you can create a channel on the right frequency with 10mW power and 0% duty cycle for this. 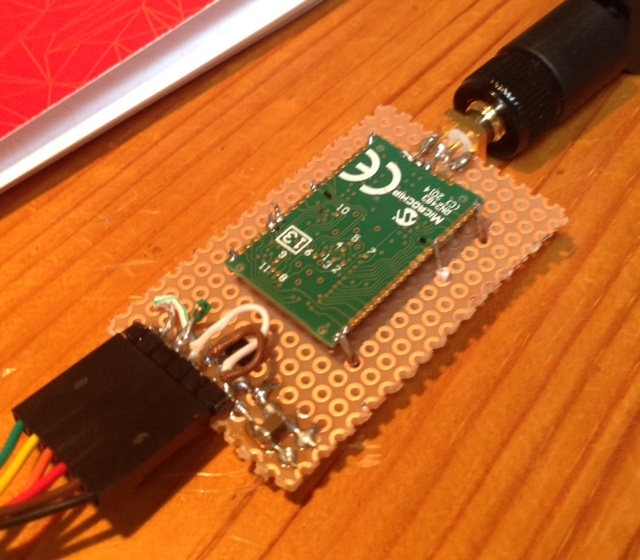 Really Nice post, with this I was able to test the RX and Tx part with the LoRa modulation. I also found out that it is possible to do FSK modulation with RN2483. I got the device setup but I was not able to transmit and receive. I wonder but do you have used FSK with the RN2483 and if yes can you help me with this. I will really appreciate it . Hi Paul…….Im using LoRa module RN2483 for point to point communication .Here Im transmitting the Latitude and longitude data using LoRa with the help of arduino Mega.But Im not able to receive the data its showing me “busy”always.I don’t why,Please say me the solution. Hi Paul…. Im using LoRa RN2483 for point to point communication. I don’t have an antenna right now. Can I use these modules without antenna for small distance applications ? Where will i get this antenna? Can you share me some link or something with exact specifications? Thank you so much, your article allows me to save a big amount of time ! Very helpful ! We are Working on LoRa RN2483 with Gate way ,we are getting only 300 meters Range communication. Please help me to Increase the Range of LoRa RN2483 up to 2km. sounds like you should work on you antenna choice or antenna location. 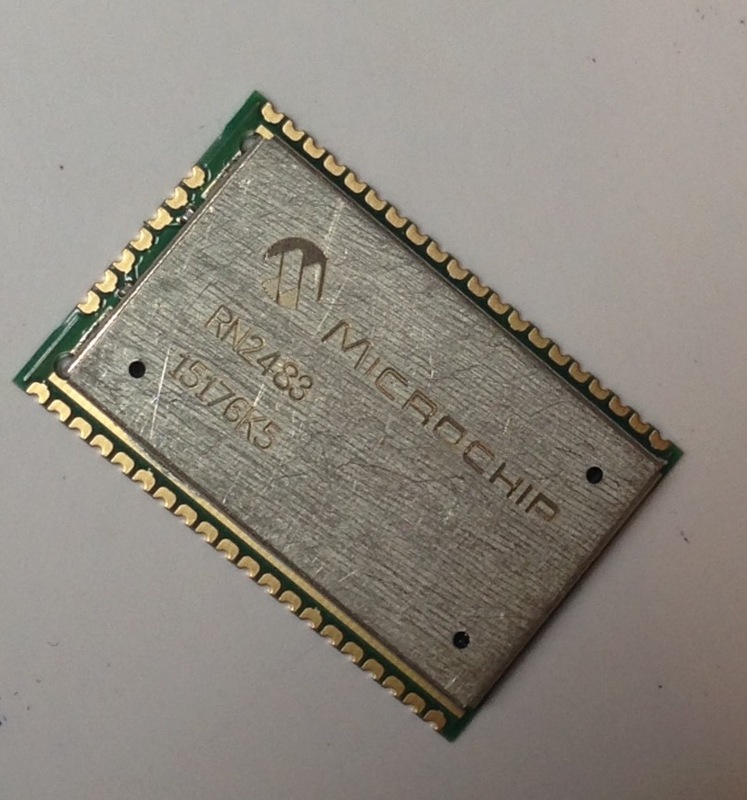 I am using Microchip Lorawan Kit 800. I am able to see the MOTE RN2483 temperature and Light sensor reading at MoTE display. How can I fetch the temp. and light sensor data from MOTE RN2483 from an PC. How can I keep send the light and temp. sensor data at particular time interval. I bought microchip Lora development kit 800 for exploration of LoRa technology. One RN2483 MOTE (which have USB connect with PC), Gateway (Have USB and Etehrnet to PC) and Server. sys get ver, radio and mac commands using their java gui tool. But I need to get temp. sensor value (GPIO13 PIN in RN2483) at regular time interval. How to enable rn2483 mote to send sensor reading at particular time interval to PC via serial USB connection. Any code example or suggestion on this. more than about 100 meters away , it no longer receives anything. board cut to 78 mm for 1/4 wave 915 Mhz. Perhaps something has changed in the firmware to limit peer-to-peer usage ? 1/4 wave dipole only getting a max range of 100 meters in normal ? cards. I believe I’ve found the issue. On the off chance there was something wrong with one or both of the cards, I measured the impedance of the connections to the breakout boards. On one of the RN2903, the impedance between the Pin 23 (RF) and gnd was about 40 ohms, on the other it is zero ohms. I’m believe the radio with zero ohm ( direct short of its RF pin to ground) is the problem. I’ve since checked this against a new chip and it is suspect. Hi Paul, many thanks for sharing your test ! I have briefly read about RN2483 and LORA, and get the idea to communicate/interface with it through serial interface (COM/USB) ports. Now, im wondering if there is a possibility to interface with SPI/UART to the RN2483 ? If so… do i serially send the required ASCII letters to do so ? I mean, i have an MRF24J40MA WAN going on at home, and interface with it through USB via Python GUI/HMI (via PIC16/MCP2200). RN2483, as mush as I know is UART, not SPI. Great detail, I had a question about your connection, did you limit the connection of the RX and TX to 3.3V, or did you use the Arduino virtual UART directly in 5V? If I remember well I directly used Arduino 5v. I do not recommend to do this : the best way is to use a level shifter.